Demop was started by Julie Eastmure over in 1987. Julie saw the need for a premium salon that was really committed to great hair and NOT located in the city. Before Demop all the top salons were in the central city.Julie felt that clients would like the convenience of a premium salon located in the suburbs. She quickly gathered a team of passionate and skilled people around her and founded Demop. She was right, Demop quickly became Titirangi's favourite Salon. to her highly skilled team, their dedication to great hair,a consistant approach to customer service and the amazing clients who return time and again. We are a team of nine. All our senior stylists are very experienced, highly skilled and fully qualified.Our colourists are extensively trained on the very latest colouring techniques and are capable of producing perfect colours for our clients. We promise to listen to you carefully and only recommend services or products that are right for you! We use the latest technology and the best products so that we can give you the very best service. During your time in our salon we promise to give you our full attention. You will leave looking your best and feeling great! Michelle is a Platinum stylist, she has a passion for making hair that looks awesome is full of energy- and will give you the same excellent service every visit. Julie is a seasoned stylist and our Team Leader, with years of experience, she has trained in New Zealand and around the world- most recently in Paris. Julie keeps the team inspired and informed on new trends and techniques. 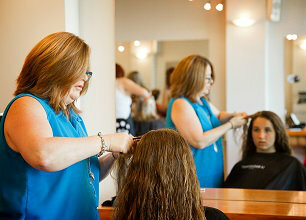 Jane is a Platinum stylist with extensive experience. She has trained in New Zealand and England. Jane is highly skilled and is excellent with all hair types, and even more excellent with long hair! 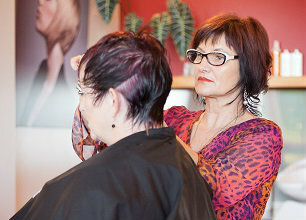 Jane is also our in salon trainer, and is responsible for all of our stylist training. Olivia is one of our senior Colouring specialists. She is constantly learning new creative colour techniques and working with our stylists to produce the most beautiful colours for each client. 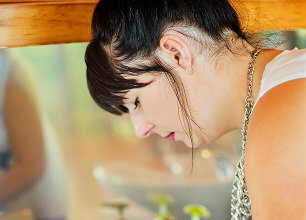 Sophie is a senior stylist & advanced colourist. She is very experienced and consistantly produces beautiful work. 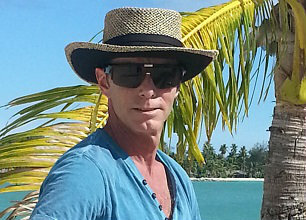 Chris is our salon co-ordinator, otherwise known as the boss. He makes sure that customer service is up to scratch and takes care of communications. He might also make you a nice cup of tea or coffee.